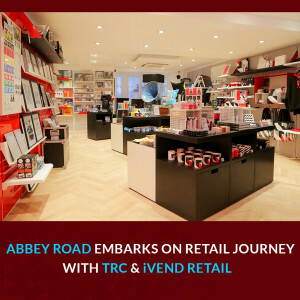 Building on its legendary history with music, Abbey Road Studios – a recording location synonymous with artistry and musicianship – has adopted an omnichannel retail strategy to leverage additional revenue opportunities from global fans and shoppers. Currently a working recording studio, Abbey Road has extended its retail operations, opening a new bricks-and-mortar outlet, the Abbey Road Studio Shop, in addition to its existing ecommerce website. Selling merchandise and memorabilia at the site of decades of landmark recordings, the store will be underpinned by a retail management solution from IT services provider, TRC Solutions, and integrated omnichannel retail system, iVend Retail, as it looks to capitalise on impulse buys and deliver seamless customer journeys. Looking ahead, Abbey Road also plans to use mobile POS to allow staff to take payments from a tablet device away from fixed till points, anywhere in the store. This will also present up-selling and cross-selling opportunities for store associates as they will be armed with online information and a single view of stock on tablet devices.